I was invited to the launching of the new menu additions at Bar Tartine and it was too bad that I had another important invitation dinner prior for the one bite left of Kale Avocado rolls! 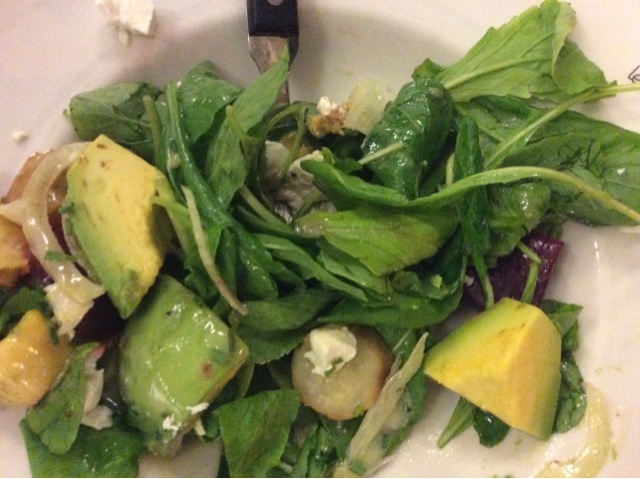 You should know I am crazy about avocado and it’s a good thing there is plenty of it in most dishes at Bar Tartine. 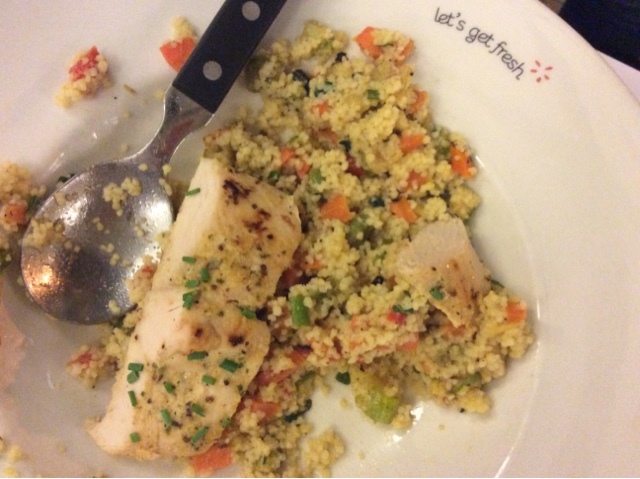 I sat down then tasted the Couscous freshness which is a salad and rather a celebration for body-conscious and healthy-food-conscious “jame3a” (or people). 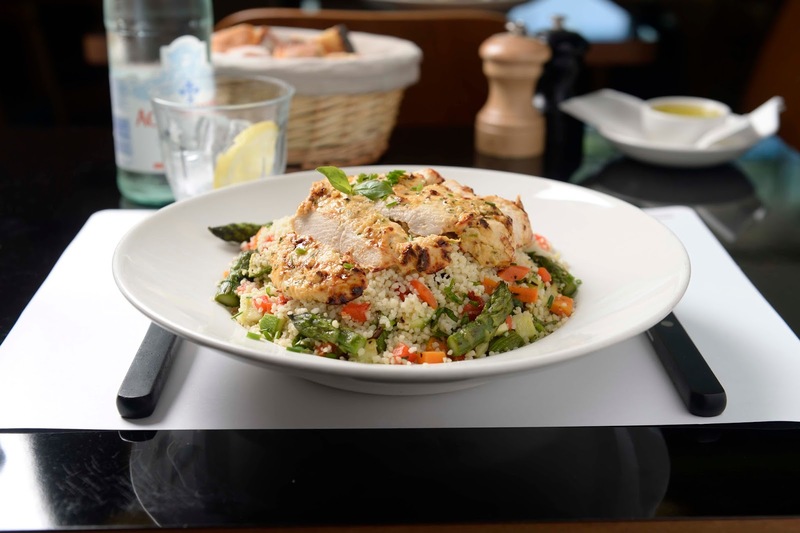 This salad is dressed with a lemon oil sauce that covers the steamed couscous perfectly as well as the piece of grilled chicken and the small cut pieces of grilled zucchini, carrots, asparagus and bell pepper. 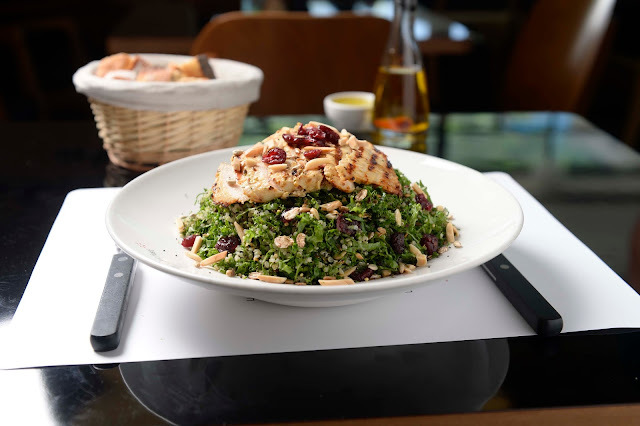 The Kale & Quinoa Celebration is a similarly topped with a marinated grilled chicken but it is instead quinoa based and served with a vinegar dressing; the salad flavor is simply enhanced with dried cranberry and roasted almonds. The Farmhouse salad is a bunch of rocket leaves, some beetroot and goat cheese mainly and quite generous pieces of, you guessed it, avocado. 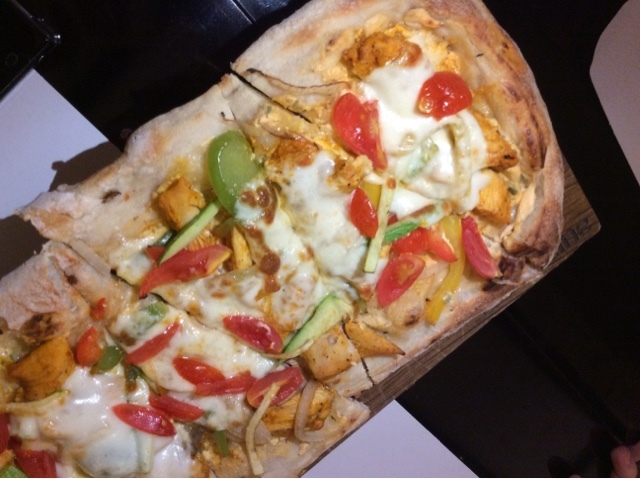 I was impressed with the Chicken Picante pizza, grilled chicken and bell peppers made me feel it was some exquisite version of a possible Mexican newborn fajitas pizza. 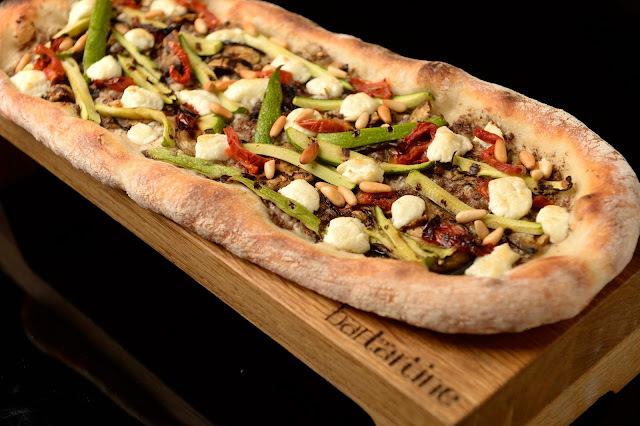 The Goat Cheese Feast pizza was as tasty too—loads of softly melted goat cheese pieces, abundant pine nuts, dried tomatoes and slightly a little bit of olive tapenade. 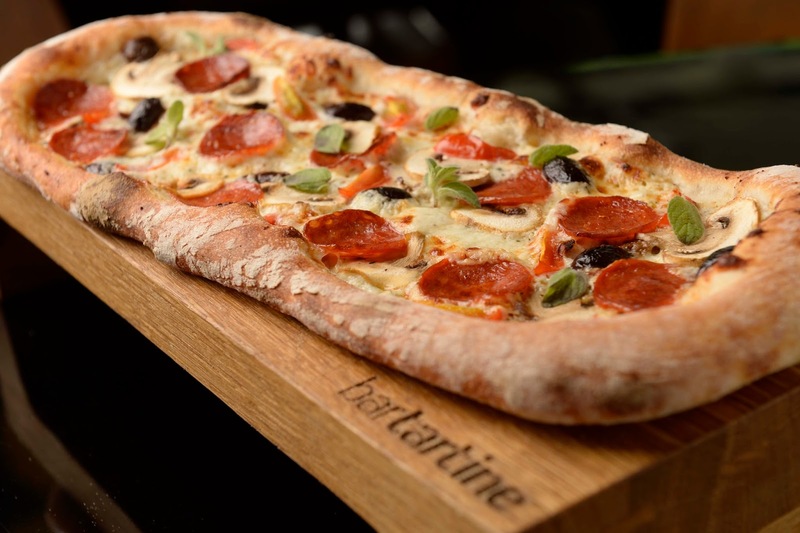 There was also the Spicy Alfresco pizza, however since I am not a sausage and black olives kind of person, I had to pass on the ricotta cheese temptation and the fine Italian Salsiccia sausage. 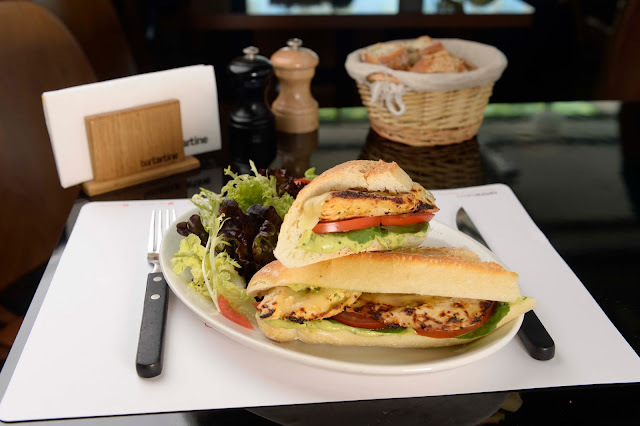 As for the sandwiches, the Chicken Provolone is a little bit of a “has been” or a classic—a French white baguette with grilled chicken breast and rocket leaves, tomatoes, and avocado spread. The other sandwich was one of my favorite additions on the menu, the Veggies Symphony. 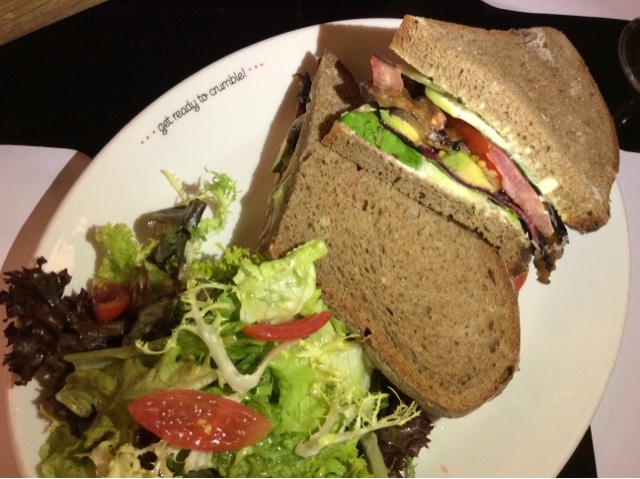 The filled slices of Rye bread were already looking very tempting as you can see on the picture. 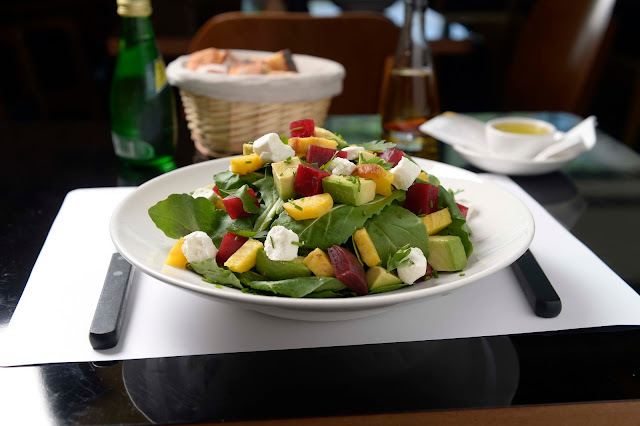 The Veggies Symphony is a combination of finely sliced cucumber, beetroot, rocket leaves (just a bit), grilled eggplant, tomato, basil, and generous bites of avocado of course! 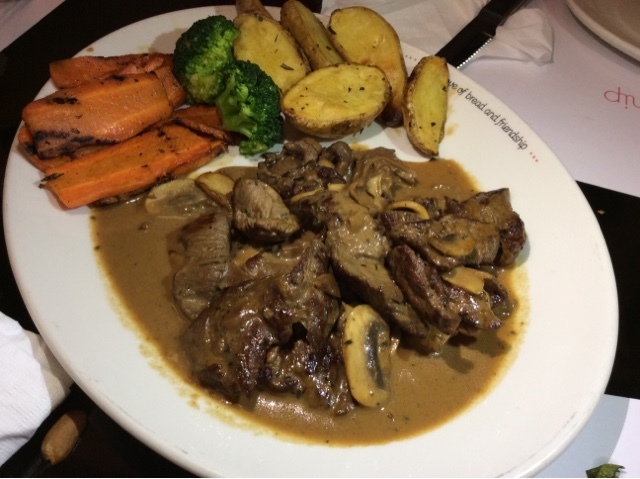 If you are rather in a big hungry monster kind of mood, I will definitely suggest the Mushroom Beef Tagliata; succulent beef tenderloin strips are served with a mouthwatering rich cèpes mushroom sauce with potato wedges and grilled vegetables. 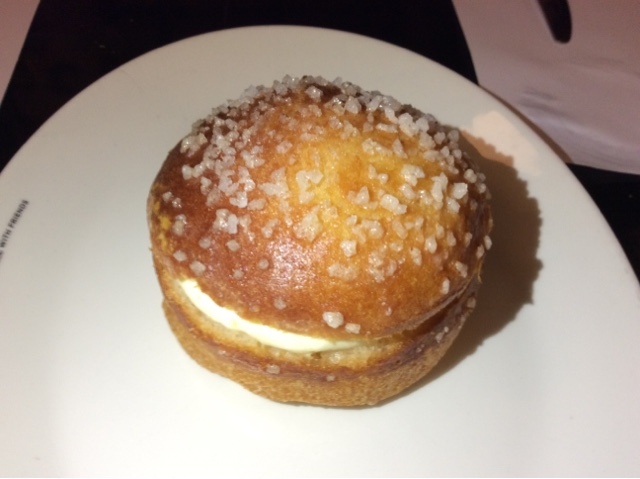 As for the dessert, my favorite is the Tarte Tropezienne, a soft brioche bun topped with sugar crystals and filled with a vanilla cream. 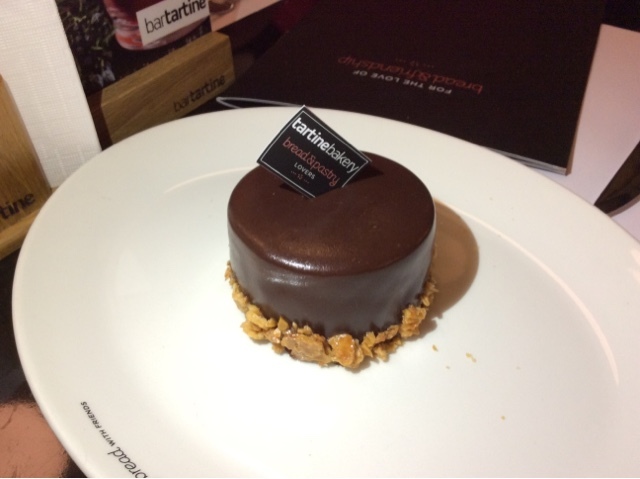 The Hazelnut Succes is my other favorite, a chocolaty nutty mini cake filled with custard cream on the inside. 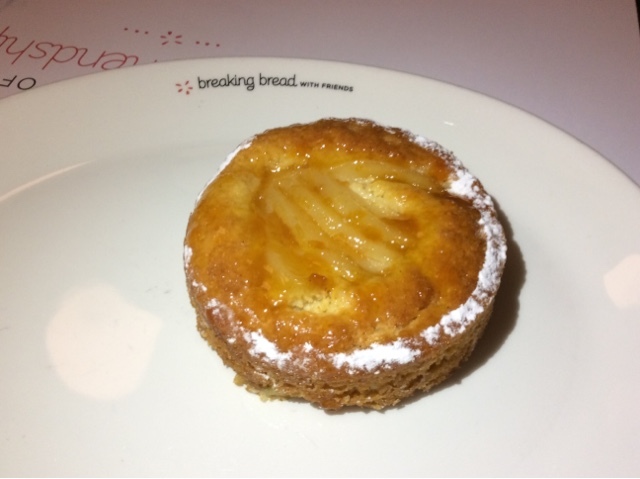 The Caprice aux Poires resembles the “tarte tatin” with pears instead of apples, yet, it is just another dessert that isn’t for my tastebuds—I like pears as a fruit only. 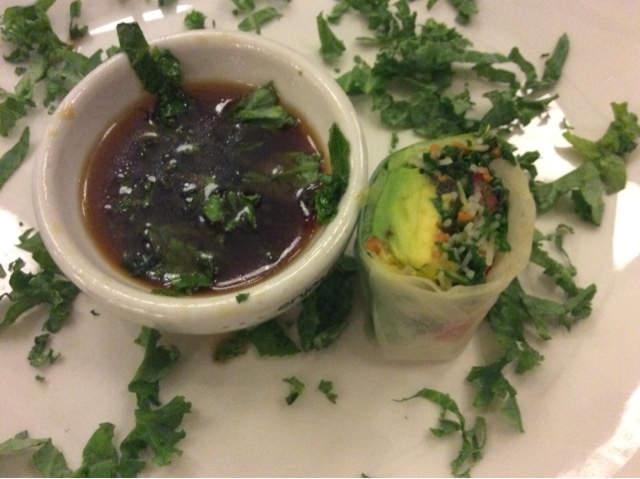 Next time I visit, I will definitely order the Kale Avocado rolls, and possibly either the two pizza I liked or the tempting Veggies Symphony. And if there is place for dessert, it will be whatever I am in the mood for—and Bar Tartine doesn’t make me worry about that.